Print's Retreat — Are the New Metrics of Online Actually Devaluing Publications? 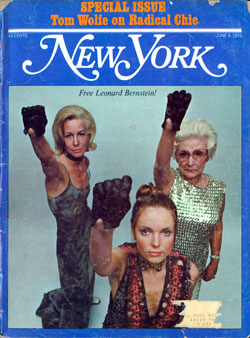 Recently, New York magazine announced it was going from 48 print issues per year to 26 annual issues. This led to an interesting set of exchanges as the meaning of this change was debated, including the implications for users and businesses, and where this is taking media businesses in general. The bottom line will resonate with many STM publishers — namely, how poorly the value associated with print publication is migrating to online publication, especially when it comes to advertising and subscription prices.
. . . the move to bi-weekly publishing represents the end of an era and underscores the dreary economics of print and its diminishing role in a future that’s already here. . . . something palpable and intrinsically thrilling will be lost with the change in rhythm to a magazine that has been hitting the streets on a weekly basis for more than four decades. But Carr is a realist, and notes the growth New York magazine has been experiencing online, allowing it to hire 15 new staff members and expand its offerings with its new fashion initiative called The Cut. But inside these growth statistics are the factors leading to the change in frequency — namely, online advertising is becoming a dominant form of revenue at New York because it is growing, yes, but mainly because print advertising is plummeting at a much faster rate. Sarah Green writes on the Harvard Business Review blog network in a more confrontational tone, shaming Carr for “crying over spilled ink” and being a reactionary. In reading Carr’s article, I sensed some of the tone Green complains about, but found it to be more than offset by acknowledgements of the benefits and inevitability of the change New York is undergoing. Yet, while the two come at the topic from different angles, they both agree on one major fact — online is significantly undervalued. There is a problem, of course, in the media landscape, but it’s not with reader habits — where so much of the sturm und drang of industry commentary often focuses. It’s with advertiser habits. In the past, publishers charged dollars for print — today they have so far only charged dimes for digital. This does not make sense to me: It’s the same brand. It’s the same content. It’s more convenient delivery and more customizable, too. And now advertisers can also track how effective their creative is! With all of these improvements, a digital ad should actually be worth more to an advertiser than a print ad. After all, ad men in Don Draper’s day never knew how many people skipped over their zingy slogans and catchy fonts; today, technology makes it obvious. But rather than blaming their bad ads, they blame the technology and ask for a discount. The way print is valued relative to time spent versus the way online is valued relative to time spent has been a long-term trend in Mary Meeker’s annual reports of Internet trends. In this year’s version, online ad spending was at least starting to approach parity with time spent (while mobile spending vs. time spent lags significantly). More interestingly, print ad spending compared to time spent is still multiples above — 6% of time is spent with print, but 23% of ad spending goes after that exposure. If online advertising were to have a similar 4x spend level, 100% of ad dollars would go there — and, not surprisingly, online advertising would be a viable candidate to support major publications. But we’re unlikely to see a day where online advertising is valued at a multiple of time spent, and it may be because we think we can measure it better. In discussing the current online advertising market with experts in the field, the ability to track ad response rates (click-throughs and impressions) has shifted the mindset among advertisers from seeking awareness and exposure to seeking response rates — a mindset more akin to direct mail marketing than to advertising. Our ability to measure advertising in new ways has led to a generally cautious response by advertisers. That is, there is only faith in the responses that can be measured and far less faith in the awareness generated by advertising, which is harder to measure. Online is not viewed as a premium product when it comes to subscription dollars. In our realm, the value of online publications is increasingly tied to metrics around downloads via COUNTER and other tools. Yet these metrics are just as susceptible to underestimating the effectiveness and value of an online journal as clicks are prone to underestimate the value of online advertising. Anyone who has visited a lab, a residency program, or an academic department knows that one counted download can easily become 20-30 copies, thanks to printers and copiers. These “usage events” are not counted, but amplify the value of the resource. Wise librarians expand their dataset by asking academics what they value and use, a tacit acknowledgement that our metrics don’t measure everything. It seems that when we couldn’t count interactions with content, we were more likely to think broadly about the life and lifespan of content sources — the sharing, the exposure, the power of being associated with strong brands, and so forth. Now that we have numbers, our thinking has contracted to be predominantly about the numbers. The intangibles are at a disadvantage and have been marginalized, when perhaps they are just as important as ever. Measurement is supposed to make things better, but because numbers give people something absolute and concrete, there is no room left for the value that measurements miss. When the value of content comes down to the numbers, measurements can seem precise, but they’re likely not accurate. New York magazine may be thriving online based on all the metrics of the Web. But, compared with the more generous and possibly more accurately valued print world, the online future of New York and others will be driven by numbers, and only by numbers. And that may be the ultimate harbinger of a future of “dreary economics” for publishers. 9 Thoughts on "Print's Retreat — Are the New Metrics of Online Actually Devaluing Publications?" I don’t disagree with the main thurst of the article. Speaking from an advertising perspective, what’s been missed is that the devaluing of publications in the digital era has largely been the fault of publishers and not just marketeers or market pressures. A decade ago (and longer) most publishers took a really defensive position and devalued digital components (largely banner ads in those days or classified listings) by bundling them really cheaply or as value ad to print campaigns. By doing so publishers trained advertisers to think of these are lower value propositions when it’s essentially the same audience as we’ve always had. Users were just interacting with the content in a different format. Things are changing especially with different ad formats, video, tablets and so are the metrics with people talking about engagement and interactions. Publishers still have a huge amount of work to do. Keep a close eye on the IAB developments. I agree, publishers did not help themselves, but part of their defensiveness arose from metrics being used against them. How could they charge an amount comparable to a print ad in a 50,000 circulation publication when the online ad had 50,000 impressions but only 350 clicks? The IAB is definitely part of the solution. But as long as we continue to cater to the metrics hounds and don’t appreciate what advertising can do and how it works psychologically and immeasurably, the metrics will dominate. Here is an Oxford lecture on the problems with “crisp number thinking” — http://www.practicalethics.ox.ac.uk/events/events/jm/26727. Audio and PPT links at the bottom. People confuse arithmetic with science. The efficacy of advertising has long been an elusive metric. In the pre-digital era, there was much faith but little empirical evidence. Using newly available quantitative analysis in the new digital era has chipped away some of that faith without replacing it with an equal measure of empirically based confidence. A net loss. Perhaps we are actually inching toward the truth. It shocks me that people still want print journals, but they do. Print is now a premium cost and a far inferior product. I don’t just mean inferior because of inline links or other bells and whistles, I mean that there is a lot more content that an online subscriber is getting than a print subscriber. And they are paying less! And print subscribers don’t seem to care. I don’t get it. Online may give more content, but readers don’t want more content — they want the best content. Print still provides a premium filter. Readers want and like filters. There are other usability and aesthetic aspects to print that online still can’t beat (pages have edges and physical relationships — that is, you can tell from print that one article was first and another second, which sends a signal; print tells you when you’re done; print is disposable; print is showy, meaning you can leave it lying around and look smart; print is more easily shareable and gives the impression that you’re sharing something of value; print’s aesthetics comport better with the aspirations of readers, who want to feel aligned with their predecessors). But I think the starting point is that because print is expensive to manufacture, it is natively a better filter. Imagine if PLOS ONE had to produce a print issue. It would be really interesting, because they’d have to make some real choices about what to put in it, and I’ll bet PLOS ONE in print would sell quite well. True. But what I was talking about are journal subscriptions to print where the content is the same. Eventually everything online will be in print but in any given subscription year, you will get more journal articles with an online subscription than you do with print. This is specifically refering to journals that publish Early View, Inline First, Just Released– whatever you want to call it. Prints biggest advantage is simply that you do not need a computer in order to read it. There are many situations where this is a big advantage. For example I cannot imagine a waiting room stocked with iPads. This is fantastic (my daughter had a similar reaction under similar circumstances). While I believe much of the conversation is helpful and insightful, this is mixing up markets – consumer vs. professional – and advertising goals, rationale and metrics, combined with publisher revenue modeling are quite different in each. Perhaps looking at the JAMAs / NEJMs / JACCs of the world there would be similarities, but also great differences for metrics devaluing publications. Considering pharma / device is the largest print advertiser market, they’re cyclic and simply “have to” advertise in niche journals, particularly considering where their competition goes – lipids vs. lipids etc – is there really a need for metrics then? Remember when JACC went from 12 to 24 issues because they couldn’t handle the concentration of advertising they were receiving? So yeah, even without advertising, they’d do pretty well with that margin, even with the rising cost of ink, they could afford to spill a little. Particularly since they don’t have to reserve paper! Scale Rewards, Scale Punishes -- Is the Future of Scholarly Publishing Already Determined?